It's Kindness Week at Canby High School, a new initiative aimed at encouraging students to walk in “others’ shoes” as they model kindness, friendship, trust, gratitude, and empathy. It kicked off in Monday with a special guest speaker, Esteban Gast, a storyteller, comedy writer and entertainer who spoke on the subject of kindness. Kindness Week is an initiative of the Canby Suicide Prevention Task Force, in partnership with the Rotary Club of Canby, CHS’ “Talk About It” group and many other local organizations and businesses. 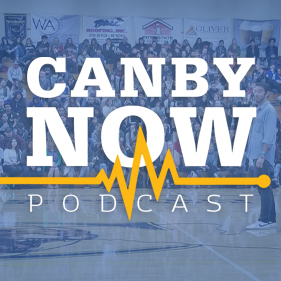 It's part of ongoing efforts around mental wellness and suicide prevention following the tragic suicide deaths of two CHS students that rocked the entire Canby community last spring. In today's episode, we raise a glass to Oregon’s history — specifically, its history of growing and brewing beer. Lori Erickson, of the Oregon Historical Society, walks us through their exhibit, Barley, Barrels, Bottles, and Brews, which tells the story of a particular part of the state's history — one that stretches all the way back to the Lewis and Clark Expedition. Episode 59: What’s Cooking, Lieutenant? 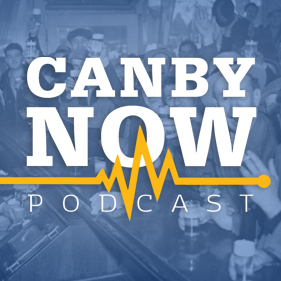 In this episode, we hear the incredible story of Canby Police Lt. Jose Gonzalez, whose remarkable life has brought him from the sunny shores of Venezuela to the rough streets of Portland. He served over two decades in the Portland Police Bureau, much of it in gang enforcement, before a path opened to bring him back to Canby — a place he had always considered home. "To answer your question, Mayor, you don't know if it's going to get better? It is." Thus capped a tumultuous, but important, night at the April 3 Canby City Council meeting, during which dozens of residents spoke — for the most part, very eloquently and respectfully — about the state of our community in terms of how we treat each other and LGBTQ people. We wanted to give you the chance to hear the entire thing, and thanks to our partners at CTV Channel 5, we're doing just that. The meeting has been edited only to the relevant portions of commentary from residents and elected officials. No public comments were removed or otherwise edited in any way. The decision to join the United States military is often a personal one. You're lucky if you wind up in boot camp with someone from the same state, let alone the same city. Well, today, we're bringing you the story of four brand new Marines from right here in Canby. They'll tell us about how they got their nicknames and why they decided to serve. Spoiler alert: Full Metal Jacket was not a huge factor. Aurora-born Canby High School grad Jackie Wiles was two days from boarding a plane with the rest of the U.S. Ski Team to compete in her second Winter Olympic Games, when she suffered a devastating injury in a World Cup race in Germany. In this episode, we hear Jackie's incredible journey toward physical and mental healing, as she works to come back stronger and faster than ever. Today, we're mixing things up a bit we sit down with Robert Cummings, who you might know better as DJ Rob. That's right: Canby and Molalla do have a nightlife, and more often than not, you'll find DJ Rob at the center of it. Tune in, and he'll tell you all about it. Imagine you're an expectant parent. The big day finally comes, but the unimaginable happens. Your baby never makes it home from the hospital. Stillbirths are experienced by thousands of mothers every year, and for many families, the pain never truly goes away. When tragedy like this strikes, more and more midwives, bereavement counselors and psychologists are recommending the use of a refrigerated bassinet like the Cuddle Cot, which allows the families the time and space to grieve their loss. In this episode, we meet Maryssa Yager, a local woman whose goal is to place Cuddle Cots at every hospital in Oregon. 5 to 9 p.m., Saturday, April 13. Warner Grange, 10100 South New Era Road, Canby. It's showtime again at the Canby Fine Arts Center, and we got to hang out with some of our favorite people: the cast and crew of the Canby High School Drama Club. Their new production, Our Town, opens this week. We'll ask them how hard it was to play the roles of young people living in a small American town. ...And scene! In honor of Tony Starlight's recently announced slate of spring shows at the Canby Pioneer Chapel (see our website for details), the Canby Now Podcast is re-releasing our December interview with the legendary entertainer as a special bonus episode! For a chance to win free tickets to the show of your choice, visit our Facebook page at https://facebook.com/canbynow!